The right tool for the job, this applicator wand steadies your hand to give you pro-level precision for your f'lashes (false lashes). Ergonomic, stainless steel design features a curved tip and strong grip to ensure expert application and safety even for the novice. 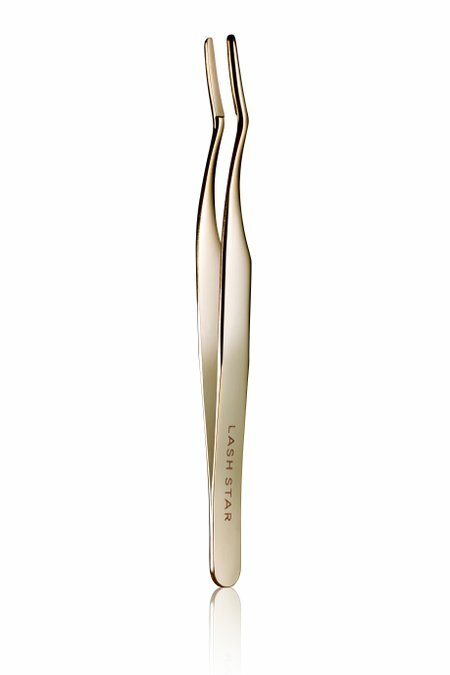 Once you have removed your lashes from their tray, use this tool to pick up lashes for glue application and lash line application. Wait about 30-60 seconds for the glue to become tacky. Apply the lash to the lid above the lashline, and use the applicator to adjust into place.